Two British guys flew to the Ukraine to buy this car. They drove it all the way back to the UK. 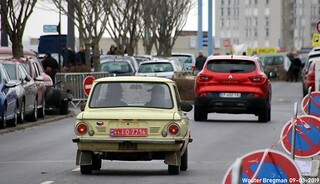 On their way home, they stopped in Reims.